In a fascinating PhD dissertation, sociology graduate student Harmony Newman explains the strategies of the lactivist movement. Cross-Cultural Framing Strategies of the Breastfeeding Movement and Mothers’ Responses portrays lactivism as a social movement with the avowed goal of increasing breastfeeding rates. Lactivism exists in both the US and Canada, but the Canadian effort has been more successful. Newman looks at the strategies (“framing”) in both countries to determine if there is a difference. I found the dissertation valuable for the way in which Newman explains the American lactivist movement. Increasing breastfeeding rates is certainly a noble motivation, but the tactics that have been adopted can be called into question, both on ethical grounds, and on performance grounds. The aim of lactivist tactics is to scare women into breastfeeding by inflating the benefits and concomitantly exaggerating the so called “risks” of formula feeding. Not only is this framing strategy disingenuous, it is a failure since it has not made any difference in breastfeeding rates. Fifty-nine percent of the documents sampled used a “baby-saving” approach in their endorsement of breastfeeding, which is more than twice as much as any other approach. In this argument, activists make the case that breastfeeding is a key ingredient in raising a healthy child and preventing a variety of illnesses, even death. Activists created three versions of the baby-saving frame, including a scare tactics approach, a focus on the child’s emotional health, and an emphasis on the mental development of the child. These strategies are scientifically suspect because they depend on the erroneous assumption that correlation means causation. It is true that breastfeeding is associated with a variety of benefits, but there is no evidence that breastfeeding itself leads to health, emotional or cognitive benefits. Breastfeeding rates are closely related to economic and educational achievement, both known to be important confounding factors. It could be the observed benefits can be ascribed to improved access to health care, and educational opportunities, rather than to breastfeeding itself. These strategies are also ethically fraught because they deliberately misrepresent the state of the literature. Virtually none of the purported benefits are established science, but rather suggestive results of selected studies, much of which is contradicted by other scientific studies. In addition, even if the benefits are real, most are quite small, and not even clinically relevant. Why have these scare tactics failed to increase breastfeeding rates? In large part it is because the scare tactics do not comport with what women have seen and experienced. Almost all women know many formula fed babies who grew into happy, healthy, intelligent children. Indeed, many women who consider themselves happy, healthy and intelligent were formula fed babies. Since it is difficult to reconcile lactivists’ claims with the life experience of these women, it follows that many conclude that the lactivist’s claims are false and nothing more than scare tactics. 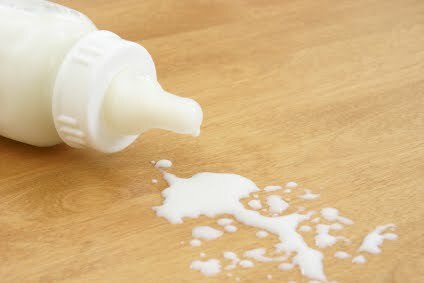 Ultimately, the lactivists’ plan to scare women into breastfeeding is so transparent a tactic, it is doomed to failure. ← A midwife resents UC. Oh, the irony!